Our company name figures among top-notch Manufacturers, Exporters and Suppliers of Cone Penetrometer in Delhi, India. Our Cone Penetrometer always complies with industry standards and features longevity, high grade and pocket friendly prices. 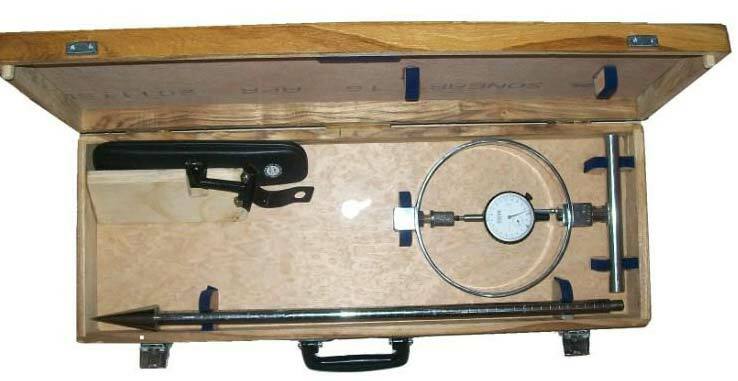 The Vicksberg Penetrometer that we bring forth is a Simple and light instrument used for measuring static penetration resistance. Buyers can acquire it custom-built specifications, from us. More about Cone Penetrometer : The thrust force is provided directly by the operator who, by pushing on the T handle, forces the cone into the soil. The encountered resistance is measured on the fitted load ring. Testing is only possible in soils with good consistency and for short depths.